For over 80 years, Engledow Group has been creating beautiful landscapes throughout Central Indiana. We are proud to be a part of such a wonderful community. Central Indiana has played such a large part of our success and we are always looking at ways to give back. 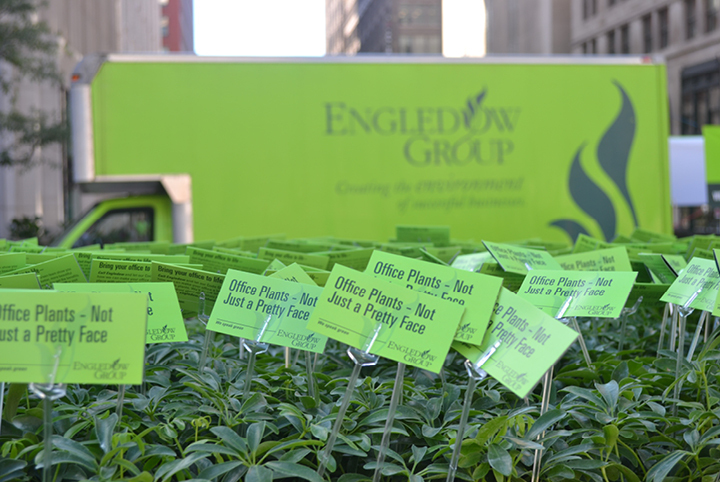 Recently, Engledow took part in three separate events to help give back to the community that has given us so much. On August 27th, Engledow volunteers took time out of their Saturday to help the kids at Riley Hospital for Children. We were approached a month before asking if we could help with a special project in an existing courtyard on the hospital grounds. 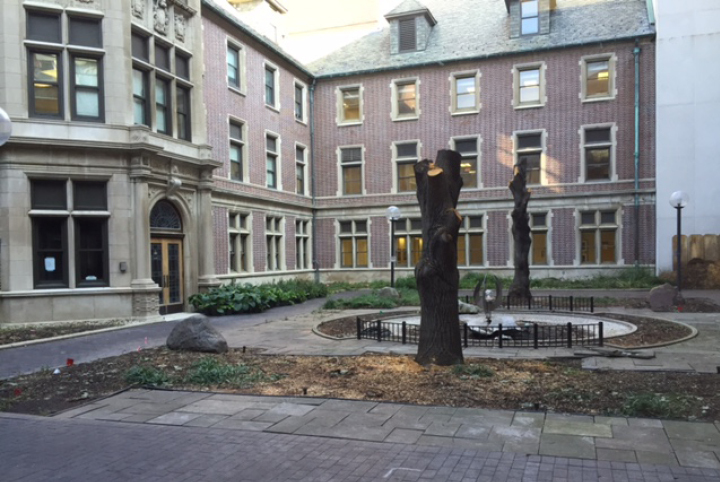 This courtyard had become overgrown and neglected over the years and Riley needed help clearing it out for a new purpose. 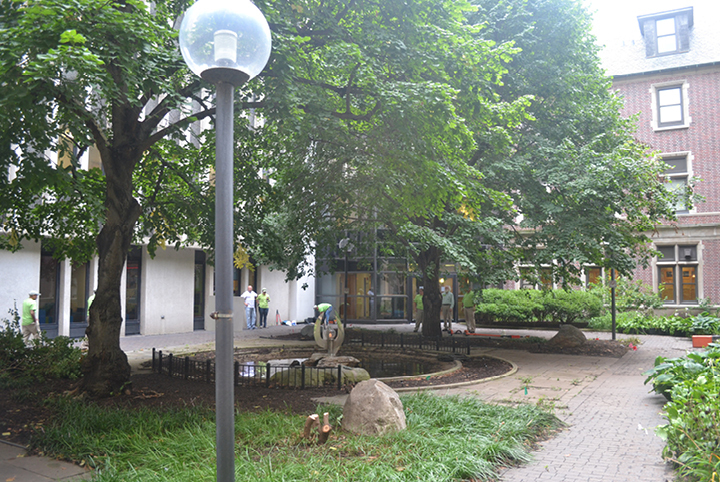 With chainsaws and loppers, Engledow employees were able to remove all plants, shrubs, and trees (including two 40ft tall maple trees) from the courtyard. 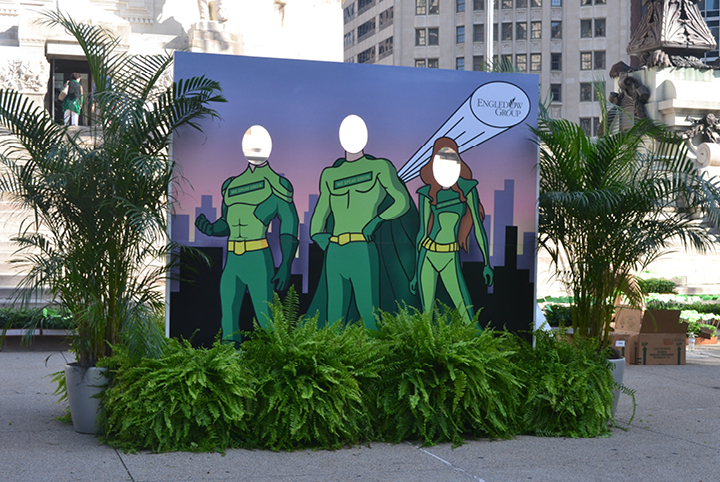 We love working with the team at Riley and hope that our work will help them get a jump start on their new project. 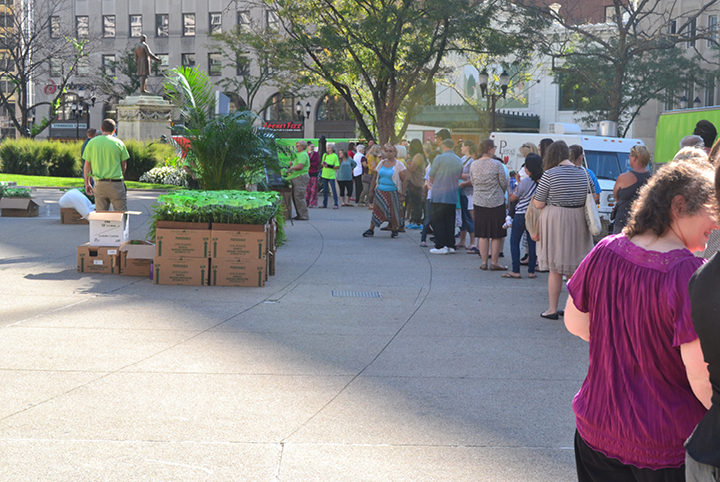 On September 15th, Engledow took part in the second annual INspired Beauty event on Monument Circle. 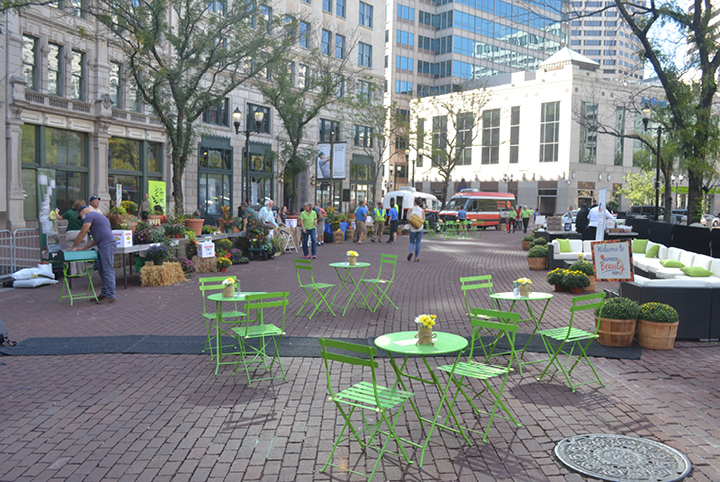 This is a fundraiser hosted by Downtown Indy to help raise funds to keep Downtown Indianapolis clean and beautiful. 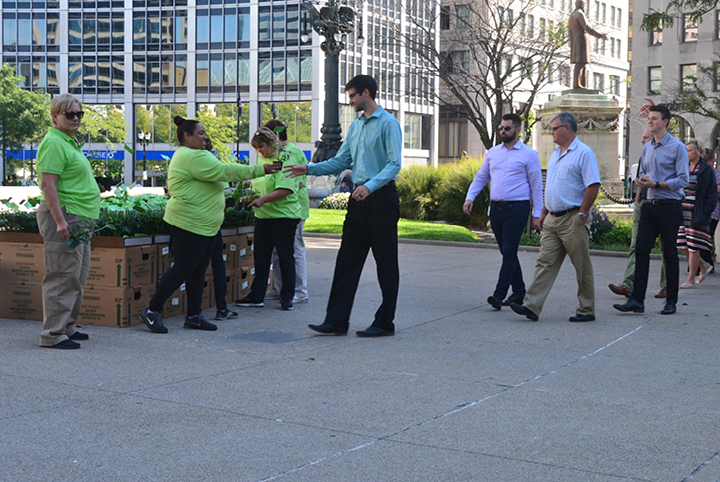 There was food, drink, music, and a planter challenge, with seven different participants taking part this year. While we didn’t win the challenge this year, we loved being a sponsor of such a wonderful event. 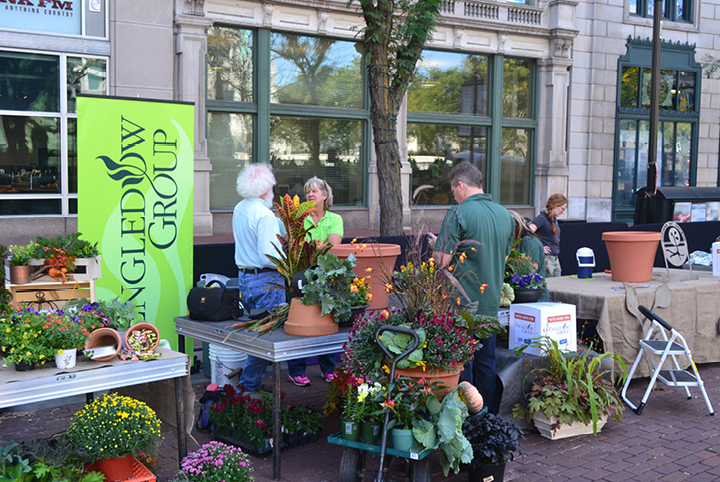 On September 21st, Engledow hosted our fifth annual National Indoor Plant Week plant give-a-way at Monument Circle. We host this event to inform the public about the benefits of having indoor plants in their offices and homes. Indoor plants help to clean the indoor air, reduce noise pollution, and improve your mood. 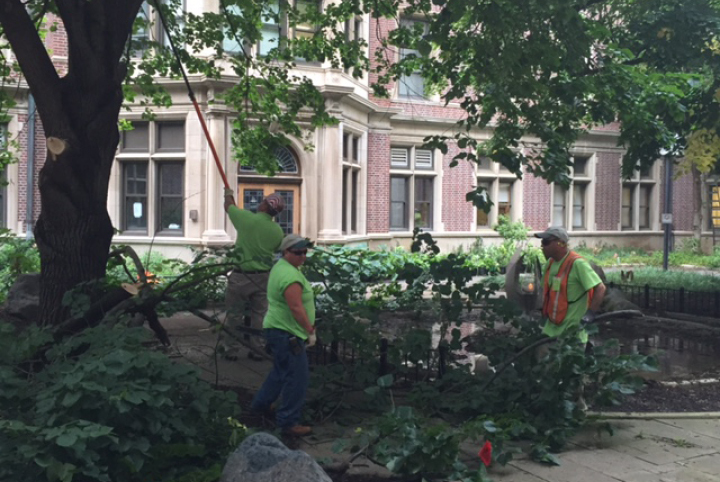 This year, we gave away 3,000 free Arboricola plants. Even though the event didn’t start until 11am, there were 50-75 people waiting ahead of time. We gave out the plants in record time this year and by 1pm, all the plants were gone. If you didn’t get a plant, mark your calendars for next year. 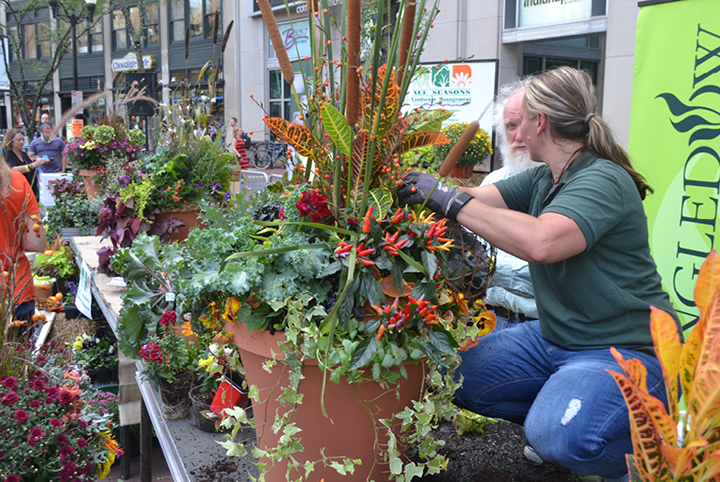 We will be back next year during the third week of September to celebrate National Indoor Plant Week once again. From all of us at Engledow, we want to tell all of Central Indiana thank you. We love being a part of this community and love giving back. If you have any landscaping needs, whether they are commercial exterior, commercial interior or residential, give us a call at 317.575.1100, or fill out the form below. This entry was posted in At Home, At Work, Construction, Estates, Events, Exterior, Green Scene, Holiday, Interior and tagged Featured by Eric Engledow. Bookmark this link.